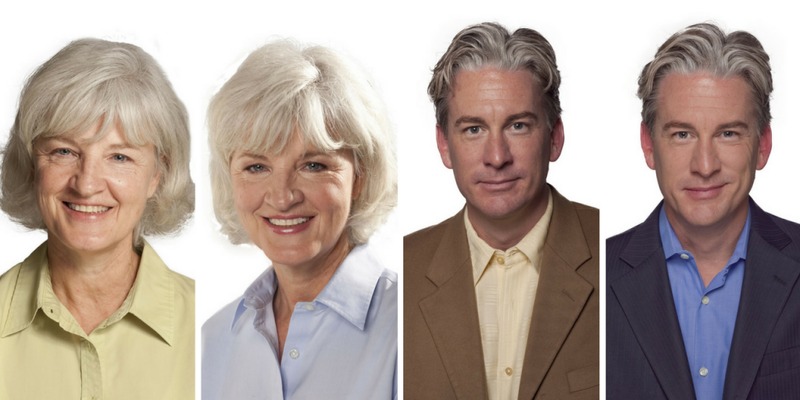 Grey hair is hot right now for the younger generation. Somehow that doesn’t feel right to me. Being a recently transitioned to grey hair woman, I resent the fact that girls in their twenties are spending hours and hours in the hair salon, trying to get what nature has given me naturally. Whom am I kidding? I think it is awesome! For once, I am on the easy side of being in fashion and maybe, I dare say, trendy. However, one of the things I have noticed after letting my hair go gray was that none of my old wardrobe seemed to look good on me anymore. I reached out to Jill Kirsh, the colour guru, for some help and tips. And I thought I would share them with you today. But before we begin, let me introduce you and tell you a bit about Jill Kirsh. If you aren’t convinced that colour makes a difference, or that Jill knows her stuff, check out this post on E News! And just look at these before and after photos! Can you see how the right colour makes you look younger and more vibrant. 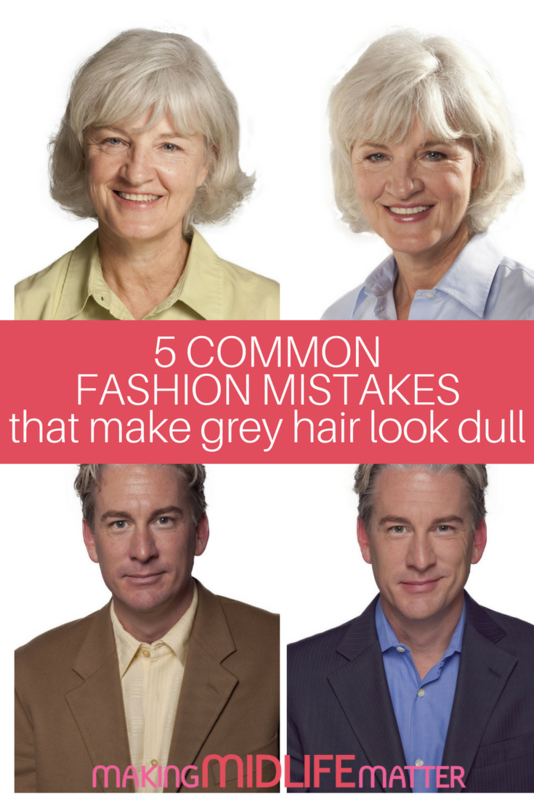 Read on for your best fashion choices for your grey hair. 1. Don’t wear mustard, olive green, camel and rust. 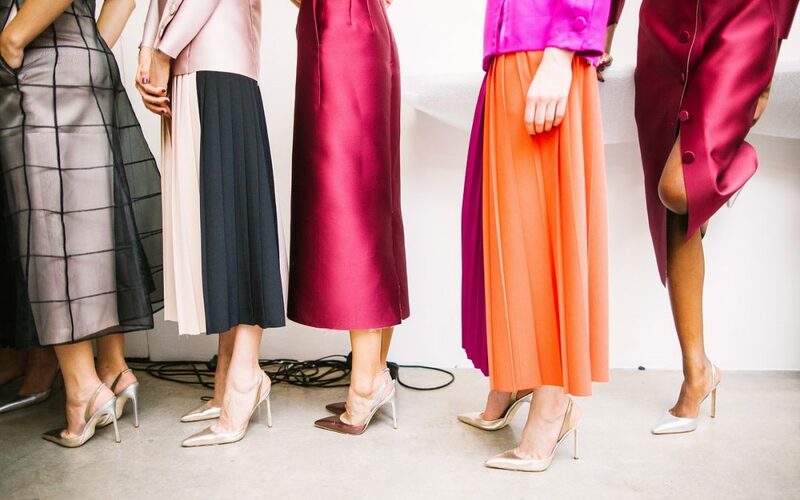 Instead wear mint, lavender, rose red and taupe. 2. Don’t wear yellow gold jewelry. Wear white gold, silver and platinum. 3. Don’t wear amber, coral or yellow topaz. Your jewels are amethyst, garnet & rose quartz. 4. Don’t wear tortoise shell, tan or bronze eyeglass frames. Opt for burgundy, steel blue or pewter. 5. Don’t accessorize with cinnamon brown handbags, boots, wallets & belts. Go for wine coloured leather accessories. Jill has designed a wallet size customized swatch book that’s filled with pieces of fabric of all your best shades for your grey hair. 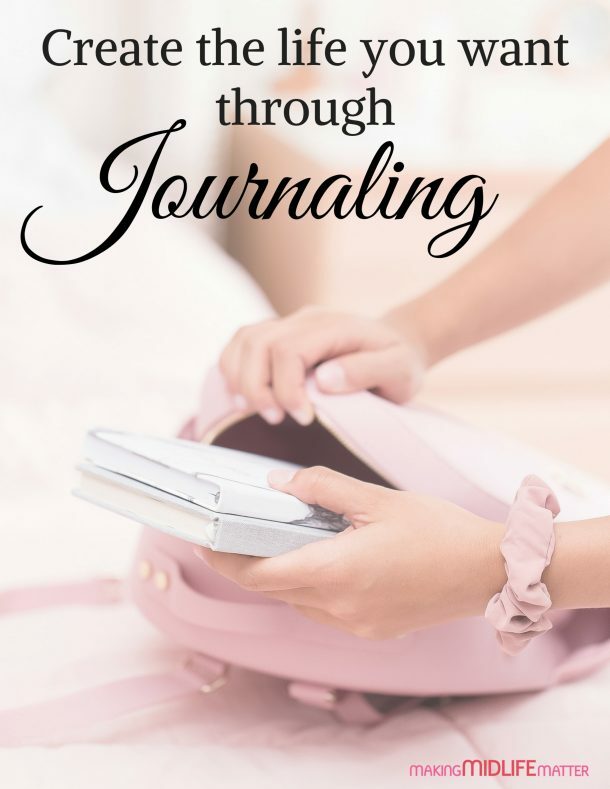 You use it as guide for shopping for everything from tees, shorts and nail color to party dresses, jewels and stilettos! In addition to these being all your best shades, every color in your swatch book coordinates with each other, so you can have a wardrobe that totally rocks. You can shop Target or Neiman’s, it doesn’t matter. It’s all about the hue! Her line also features customized mineral based, fragrance free makeup kits filled with all your best shades for the eyes, cheeks and lips. All the lip products, blush and shadows are paraben free, all the products are cruelty free and are made in the USA and all these shades blend beautifully with each other and compliment the hues in your swatch book. 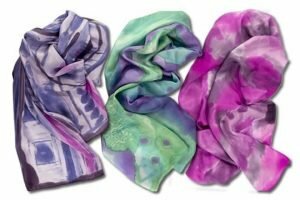 For Jill’s whole line of products, including these beautiful scarves below, or to book a personal consultation, see her website at Jill Kirsh Color. Thank you so much for sharing your expertise with me Jill, and I look forward to featuring you again soon. At what age did you stop colouring your hair?